David Vocal, DDS, is pleased to be able to offer beautiful smiles to his neighbors in Brunswick and the surrounding communities. Dr. Vocal is passionate about dentistry and strives to give all of his patients a positive dental experience, without judgment or pressure. His patient-centered philosophy focuses on you and your individualized dental care. He believes the more involved you are in making dental health decisions, the less room there is for fear and uncertainty. Dr. Vocal is committed to lifelong learning in order to keep up-to-date on the exciting new advances in modern dentistry. He earned his dental degree from The Ohio State University College of Dentistry and has been practicing dentistry for over 25 years. He is a member of the Academy of General Dentistry, World Congress of Minimally Invasive Dentistry, and Seacoast Esthetic Dentistry Association. Dr. Vocal believes in making a difference through dentistry. He served as a board member of Health Equip, an organization that provides medical and dental services and equipment to missions all over the world, caring for those who cannot care for themselves. He has participated in dental missions in Greece, Belize, and Haiti, and also volunteers his services at the Preble Street Soup Kitchen. 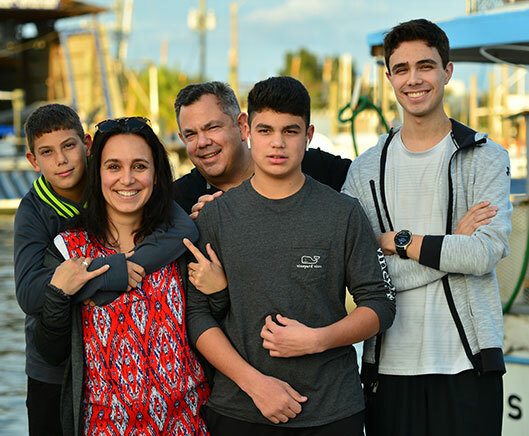 Outside of the office, Dr. Vocal enjoys spending quality time with his wife, Chrissa, and their three sons: Theo, Elias, and Mateo. He keeps very busy hiking, biking, skiing, and coaching soccer. Dr. Vocal is excited to meet you and discuss your dental needs. Call our office today at (207) 808-7939 to schedule the first step toward your healthiest smile.